If you’ve longed for a more modern, countrywide approach to Chinese cuisine, La Chine is the place for you. The restaurant is as elegant as its concept and food, elevating the notion of Chinese fare to a new level. 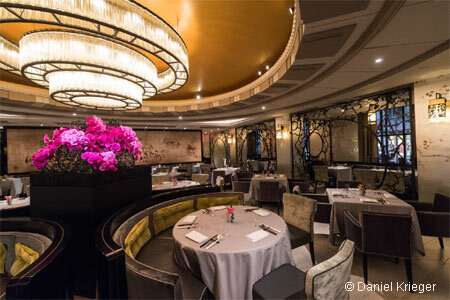 La Chine, The Waldorf Astoria New York, 540 Lexington Ave., New York, NY 10022, 212-872-4913. The redesign of The Four Seasons Restaurant is going to cost 30 million dollars. Reps from the restaurant recently announced that Major Food Group (Mario Carbone, Rich Torrisi and Jeff Zalaznick) will run the historic establishment after it shuts down for a redo in July 2016. The Four Seasons Restaurant, 99 E. 52nd St., New York, NY 10022, 212-754-9494. Daniel Humm and Will Guidara, the team behind Eleven Madison Park and The NoMad, have announced they are opening a fast-casual restaurant called Made Nice. The counter-service place, scheduled to debut in late spring 2016, will offer seasonal ingredient-driven, health-conscious fare. Made Nice, 8 W. 28th St., New York, NY 10001, No phone. Eleven Madison Park has eliminated tipping in 2016. Instead, the restaurant launched a prix-fixe menu with service included for $295 per person. 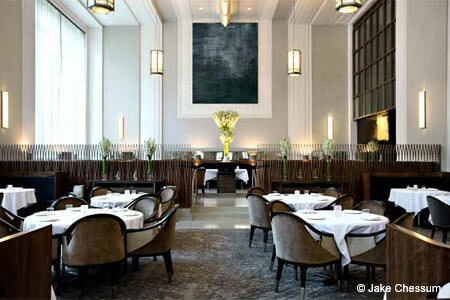 Eleven Madison Park, 11 Madison Ave., New York, NY 10010, 212-889-0905. Super Spanish chef José Andrés has plans to open a second restaurant in New York City. Already scheduled to launch an outpost of The Bazaar in summer 2016, Andrés will fire up the burners of a restaurant in the yet-to-be-completed Hudson Yards mixed-use space on Manhattan's West Side. There are no details on the restaurant, except that it will open in 2018. Mario Batali and company have announced that Michael Laiskonis, former pastry chef at Le Bernardin, will be the pastry chef at La Sirena, the yet-to-open Italian eatery in The Maritime Hotel. La Sirena, 363 W. 16th St., New York, NY 10011, 212-242-4300. Seven-year-old West Village Italian restaurant De Santos has shuttered permanently. There's no word yet on what will fill the space on W. 10th Street. De Santos, 139 W. 10th St., New York, NY 10014, no phone. Danny Meyer's beloved Union Square Cafe has shut down. The restaurant will relocate to Park Ave. S. and E. 19th St. and reopen in spring 2016. Union Square Cafe, 21 E. 16th St., New York, NY 10003, no phone. City Crab & Seafood Company has shut down to make way for the new incarnation of Danny Meyer's Union Square Cafe. The seafood restaurant will reopen in 2016 at 10 E. 16th St. as City Crab Shack. City Crab & Seafood Company, 235 Park Ave. S., New York, NY 10003, no phone. Empire Diner, one of four freestanding diner buildings in Manhattan, has shut down. There's no word on what restaurant will open in its place. Empire Diner, 210 Tenth Ave., New York, NY 10011, no phone. Midtown restaurant Brasserie will close after service on New Year's Eve. Brasserie, The Seagram Building, 100 E. 53rd St., New York, NY 10022, 212-751-4840.